What a great version! I always make mine and then when I see all the other versions, I wish I had done it differently. 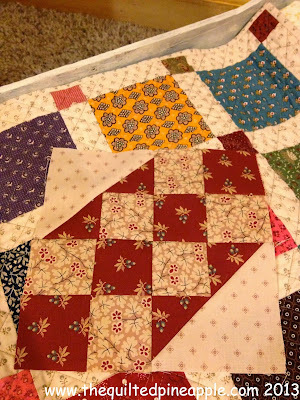 Michelle at Island Life Quilts did her all scrappy, and I love that look, too. 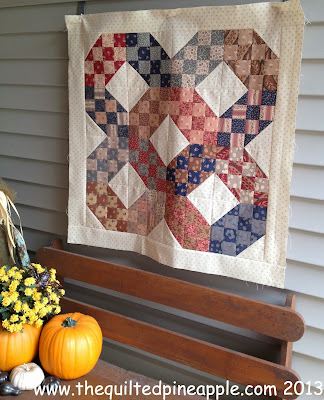 Love your version and the fabrics you used. 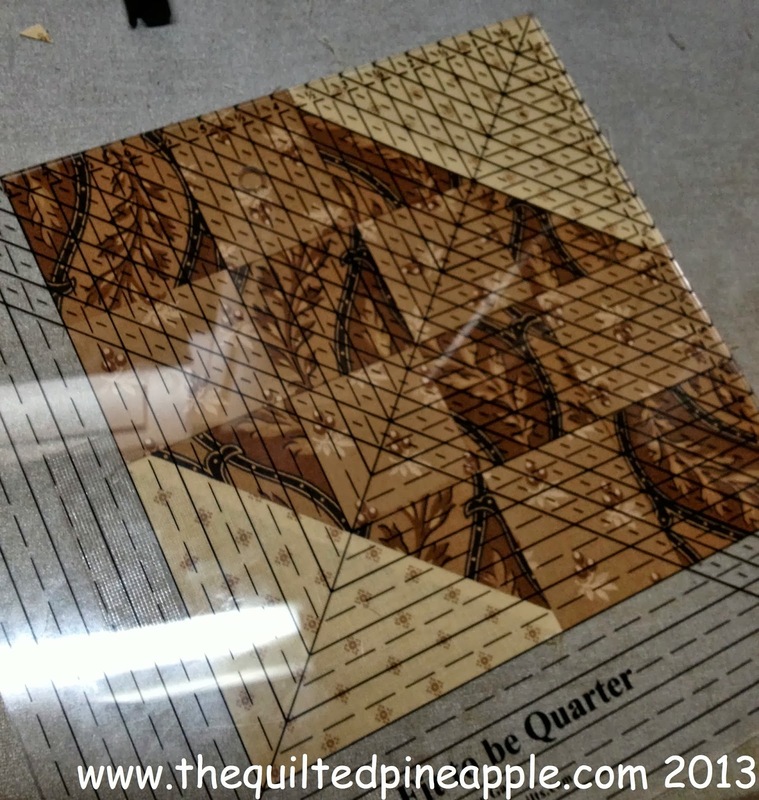 I look forward to seeing your quilting on this one. 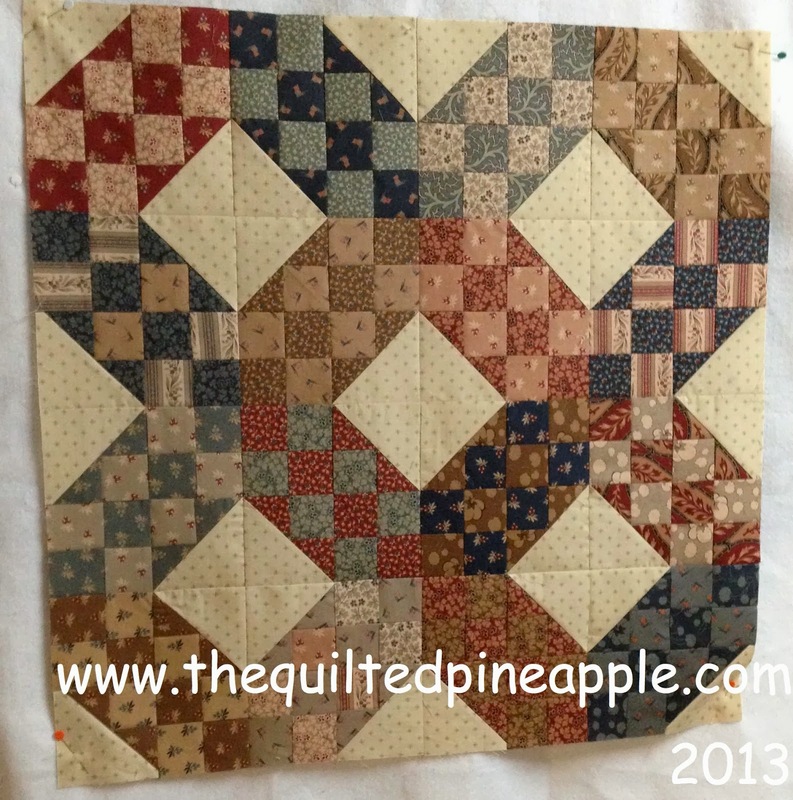 Beautiful quilt top, can't wait to see your wonderful quilting on it. Looking forward to your quilting on this one!!! Great quilt!! Looks more difficult than it is! Your quilting will make it magic! Thank you!!!!! Wasn't sure if you realized this but you are a no-reply blogger so I had no way to email you a thank you. 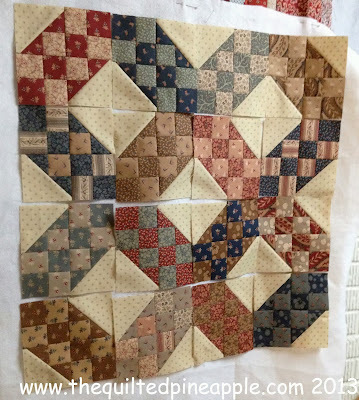 Lovely quilt! This is so much fun, seeing all the different versions appearing on various blogs. 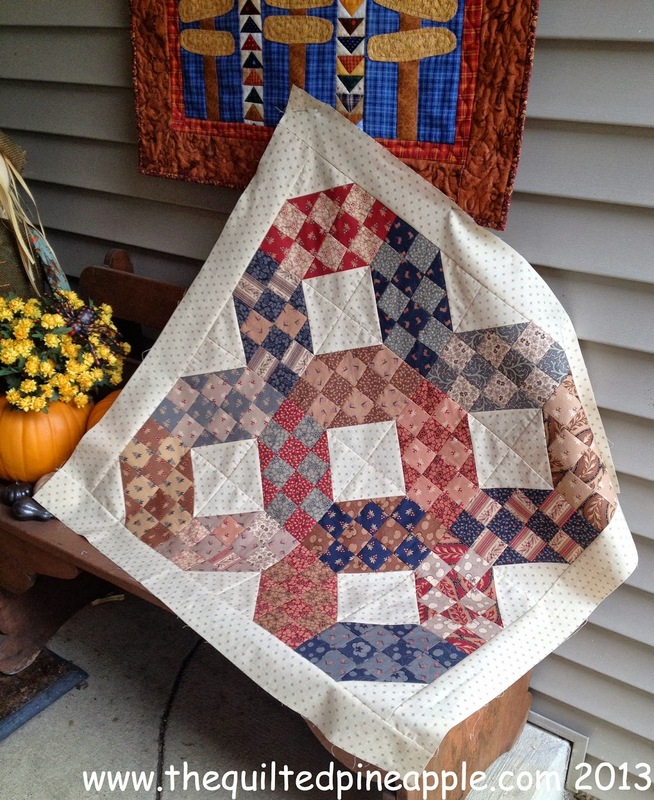 Love your version, the white (borders) make it a lovely light quilts, which I love. Find that as the years (of making quilts) progress I am more and more drawn to lighter rather than darker quilts. 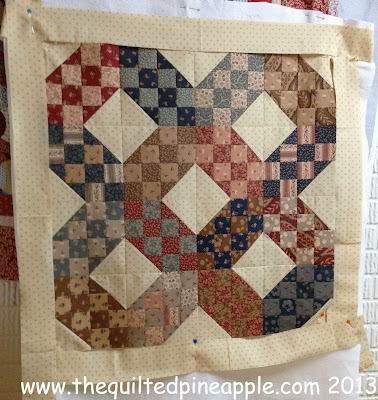 Can't wait to see it quilted! Love it! 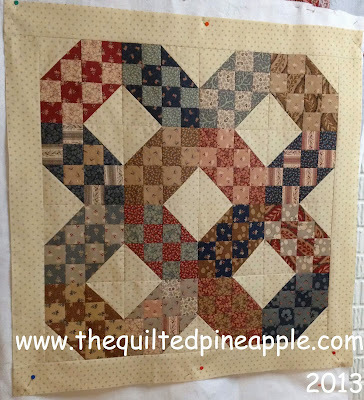 Please show it again after it's been quilted! All my favorite colors. Beautiful and I bet your quilting will make it really stand out! Darling little quilt! 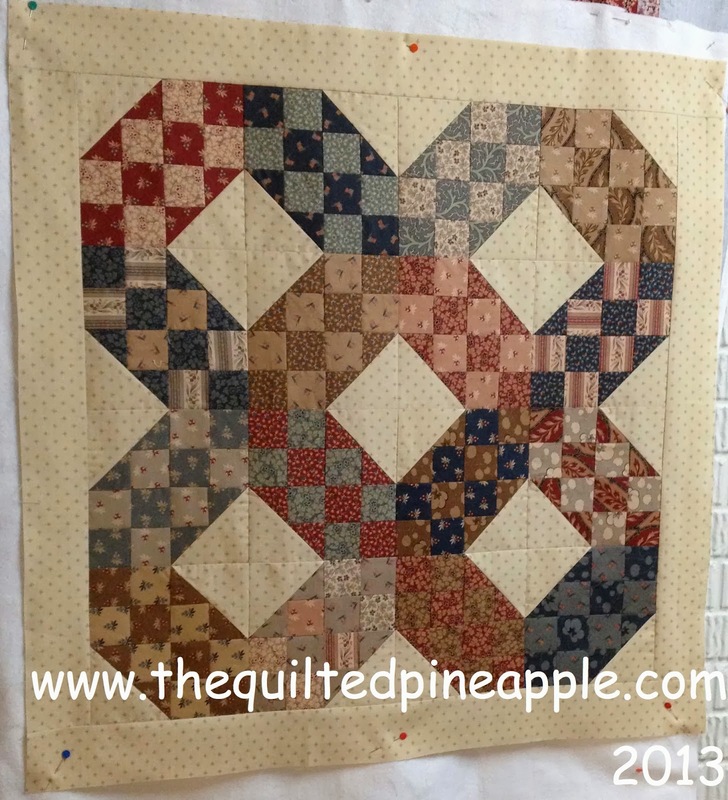 Amazing that positioning a blocks can make such a dynamic quilt! That turned out so cute! Don't you love it when all the measurements come out perfect?! Gorgeous quilt! 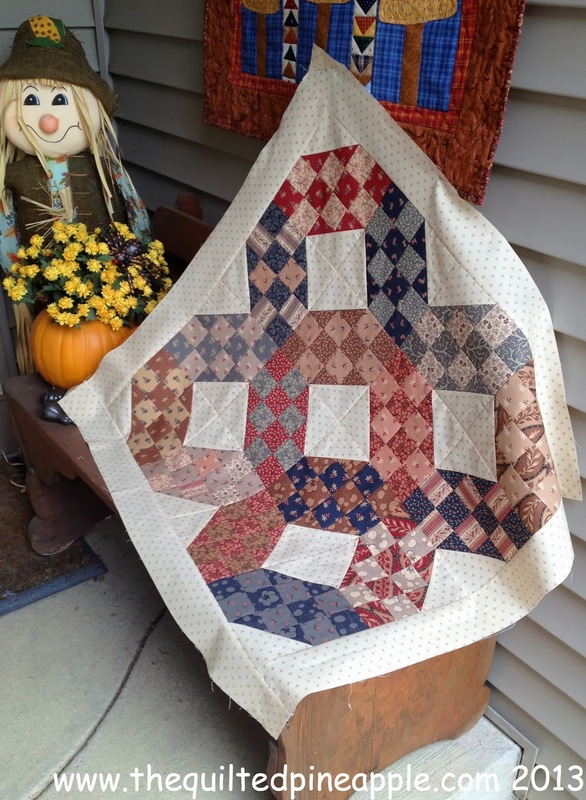 Your fabrics really suit the pattern. I just found your blog through the schnibbles parade. I'm a bit behind in my blog reading!